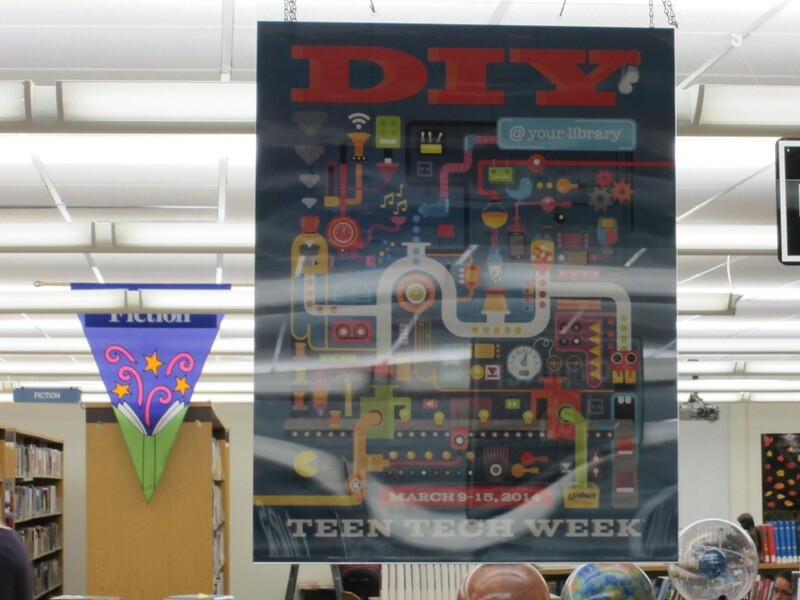 We’re in the midst of Teen Tech Week, which has a “do-it-yourself” theme this year. 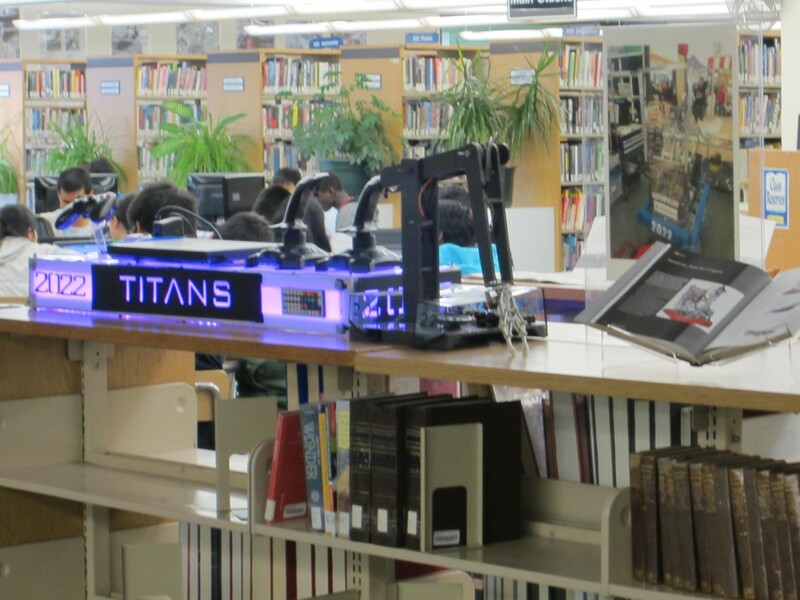 Libraries all over the country are showcasing the resources and services that are available to teens and extend learning beyond the classroom. During “DIY @ your Library” this week, teens are encouraged to explore, create and share. 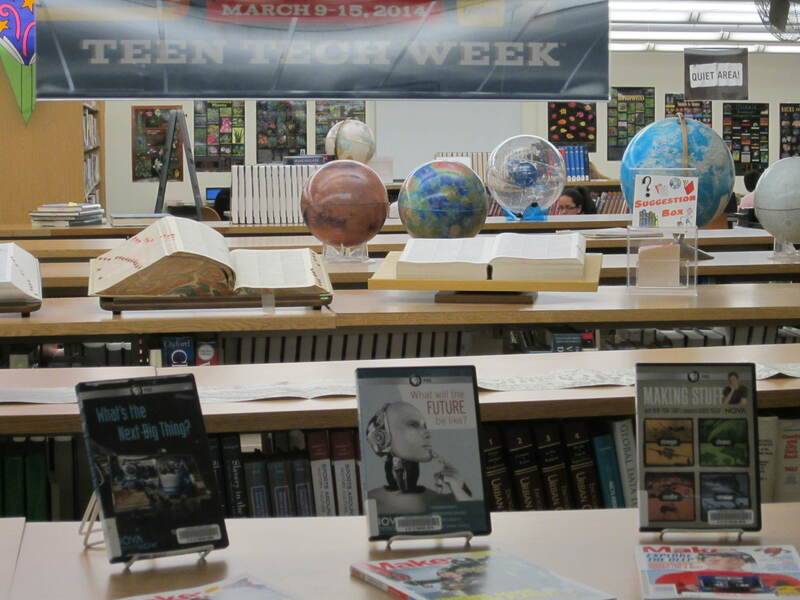 Jean Bigger, Technical Services Supervisor, has set up a display that draws teens in and, hopefully, gets their DIY ideas flowing. The IMSA Robotics Team robot control panel, Titans, and the robotic arm next to the panel immediately catches the eye of those who are passing by. 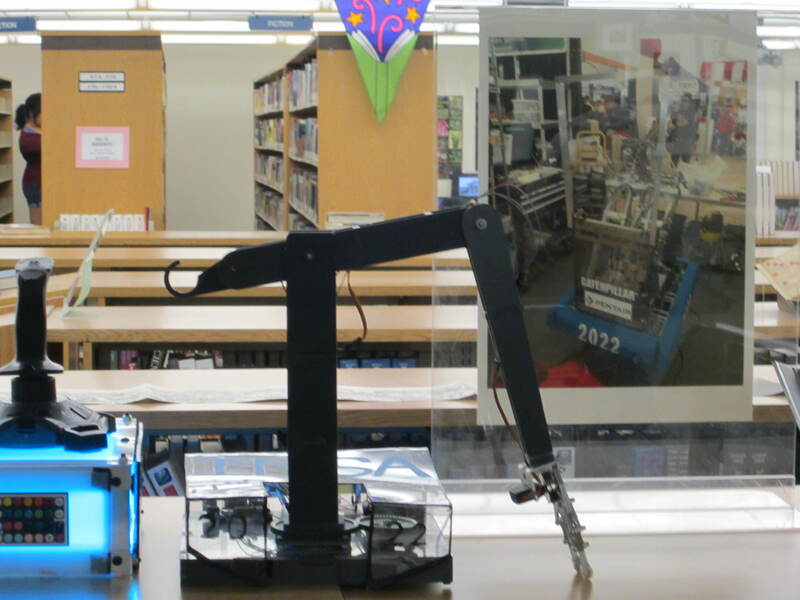 Next to the robotic arm is a photo of the IMSA Robotic Team meet. Also on display are books and DVD resources that support the DIY theme and have lots of interesting ideas in them for those who wish to create something. The possibilities are endless. This entry was posted in Displays on March 11, 2014 by nluebke. Astrophysicist Neil deGrasse Tyson is hosting a new, updated version of the popular 1980’s PBS television series, “Cosmos: A Personal Voyage.” The original show, hosted by Carl Sagan, made science accessible and increased Sagan’s visibility and popularity, which lasted for the rest of his life. The new series, “Cosmos: A Spacetime Odyssey,” is a production of National Geographic Channel and Fox TV, and it began airing this past Sunday on several television channels. 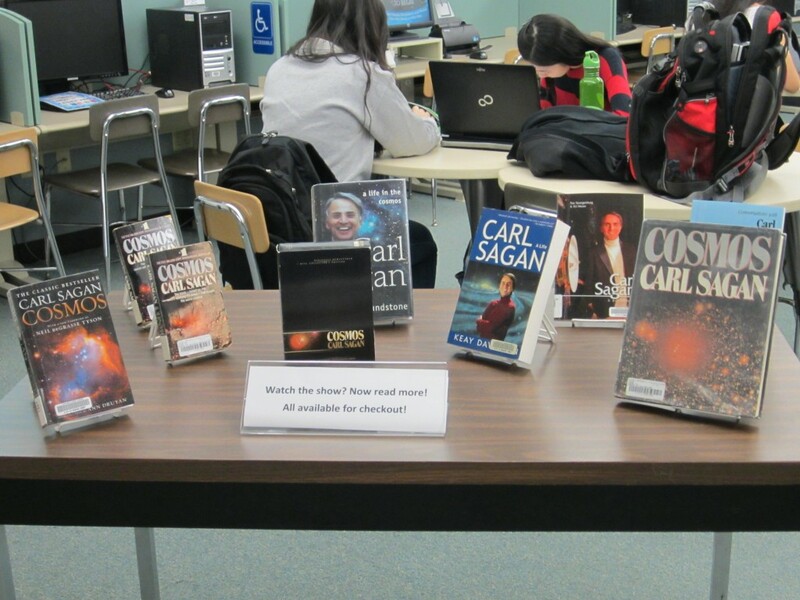 Connie James-Jenkin, IRC Collection Development and Reference Librarian, has set up a display in the IRC for anyone who wants to see the original Carl Sagan series or delve into any of his books. All are available for check out.